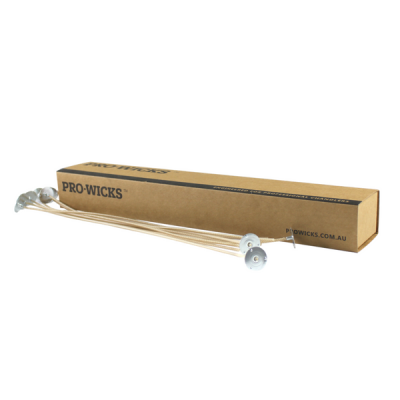 Introducing the new name in high-quality candle wick supplies - Pro Wicks! Pro Wicks are coated in a special blend of priming wax which has been rigorously tested to enhance rigidity during pouring and burning, and promote an even burn. All Pro Wick products are checked by a quality assurance team to ensure they are of the highest quality before being sold. They also come packaged neatly in a reusable box to prevent tangling and damage during transit.